Voici un article de Tomas Pereira, analyste de recherche à Equilar Inc, publié sur le site du Harvard Law School Forum qui fait le point sur la future loi californienne eu égard aux quotas de femmes sur les CA. L’étude présente des statistiques intéressantes sur la situation des femmes sur les CA en Californie et fait état de projections concernant l’effet des mesures. Rappelons que l’état de la Californie est le premier état qui s’aventure dans l’établissement de quotas pour favoriser la diversité sur les conseils d’administration. That minimum will be raised to at least two female board members for companies with five directors or at least three female board members for companies with six or more directors by December 31, 2021. Ainsi en 2021, les conseils d’administration devront compter au moins trois femmes sur les CA, si le nombre d’administrateurs est de six ou plus. By August 31, 2018, California could become the first state in the nation to mandate publicly held companies that base their operations in the state to have women on their boards. 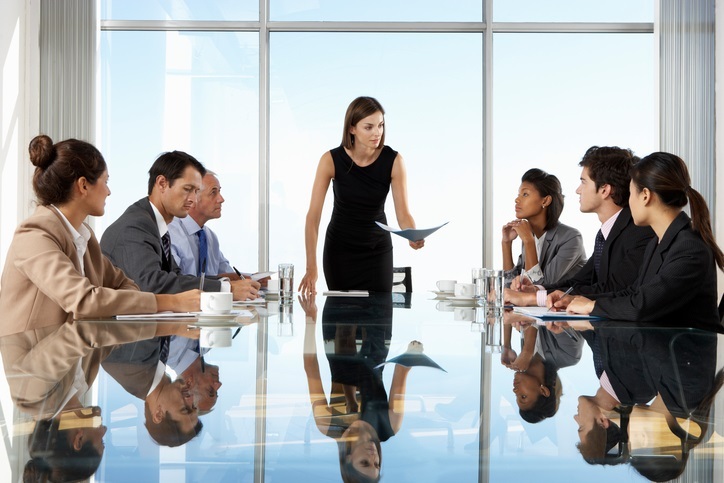 The legislation—SB 826—will require public companies headquartered in California to have a minimum of one female on its board of directors by December 31, 2019. That minimum will be raised to at least two female board members for companies with five directors or at least three female board members for companies with six or more directors by December 31, 2021. If SB 826 is passed in the Assembly and signed by Governor Jerry Brown, corporations not compliant with the new rules will be subjected to financial consequences. Strike one will be accompanied with a fine equal to the average annual cash compensation of directors. Any subsequent violation would amount to a fine equal to three times the average annual cash compensation for directors. Hence, the consequences are very real for companies that choose not to comply with the new rules. A new study by Equilar looks at where public companies headquartered in California currently lie in relation to the proposed legislation. The study includes public companies in California that have annual revenues of $5 million or more—amounting to a total of 211 companies with an aggregate of 349 female and 1,466 male board members. Looking broadly, California is slightly below other states and the national average in terms of average women on a board. California, on average, has 1.65 female members per board, whereas other states and the United States as a whole average 1.76 and 1.75 female members, respectively. This type of statistic is a likely factor in spurring state legislators in Sacramento to make significant changes to the status quo and place California in a leading role for board diversity in the United States. By 2019, most companies in California would be safe from any financial penalties for having an insufficient number of female board members. As it stands now, 82% of public companies in California who have annual revenues of over $5 million will meet the initial criteria, whereas 18% will not. Consequently, 37 public companies would be faced with a fine equal to the average annual director compensation for failing to comply. In the following table, Equilar examined the 82% success rate a bit further and broke it down by sector in order to examine which industries are driving the rates of success and failure. By 2019, the basic materials and utilities sectors in California would both have a 100% success rate. Thus, every company within these two sectors has at least one female director present on their board. The next sector with the highest rate of success is services, with 92% having at least one female member. Both the healthcare and technology sectors are tied for lowest compliance at 83% pass. When looking at the companies that would meet the secondary December 31, 2021 criteria, the picture is much bleaker at present for public companies in California. According to the proposed legislation, the required minimum would increase to two female board members for companies with five total directors or to three female board members for companies with at least six total directors. Taking that future criteria and applying it to today, 79% of public companies would fail, while only 21% would pass. The following table sees basic materials—one of the sectors with 100% company success rate with the previous 2019 criteria—fall down to a 50-50 ratio of pass to fail. The sector with the highest success rate is utilities, while the industrial goods sector has the lowest success rate at 75% and 14%, respectively. While the path for the proposed legislation is still a bit rocky, the broader trend towards diversifying boardrooms across the country is growing. Companies should anticipate new legislation—not just SB 826—sprouting throughout more state legislatures and get ahead of this rolling tide. States like Maine, Illinois and Ohio have already begun promoting resolutions to encourage companies to diversify their boards. In addition, BlackRock and other institutional investors have publicly stated that they will expect at least two female members per board. The push towards gender diversification is well warranted. Studies by management consulting firms, such as Boston Consulting Group and McKinsey & Co., have shown that diverse boards perform better financially. Signs do point to a gradual progression towards gender parity in the boardroom, as noted by the Q1 2018 Equilar Gender Diversity Index. However, without proactive encouragement or legislation, it would take decades before a true gender balance is realized.